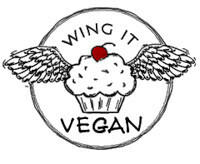 Wing It Vegan: The MoFos are coming! Vegan MoFo starts in only a few weeks! Five weeks, is it? That's almost too soon. I need more time to prepare. Who am I kidding? My idea of preparing is doing everything five minutes before it's due. Anyway, I am pumped up about this MoFo because I skipped it last year and I have a lot of pent up excitement ready to be unleashed. There is always the possibility that my energy will fizzle out and I will do nothing. Nothing at all. It happens. This year we actually have guidelines or prompts that we have to stick to. I like this. Usually, I have about 75 theme ideas floating around in my brain, but when it's time to start MoFo I can't focus on one single idea and end up not doing a theme at all. On the other hand, I don't like to feel restricted (or worse - constricted) by guidelines, so I will take some major liberties when I interpret the prompts given to us by the MoFo overlords. Overladies? Overpeople. I don't have any new food for today's post. Instead, I would like to do a round up of some of my favorite MoFo posts. 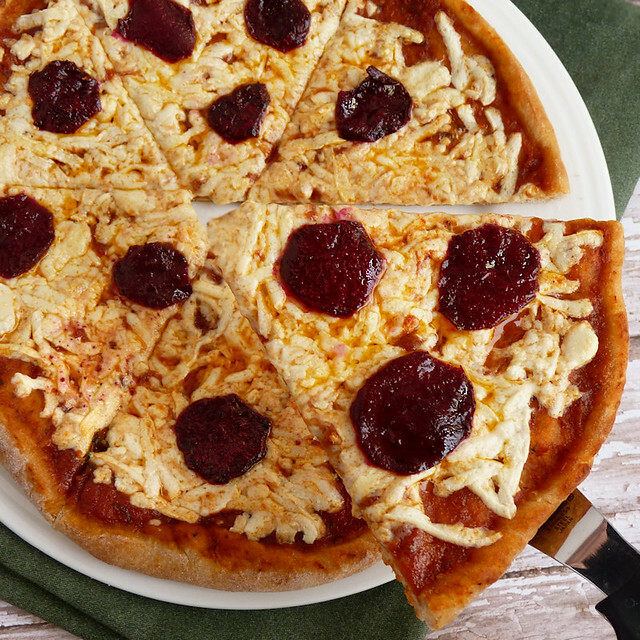 These are either posts/foods that were the most fun for me to create, or recipes that have become some of my favorites and that I still make regularly. Vegan MoFo 2008 was my first time participating. It was the most fun I've ever had during MoFo. 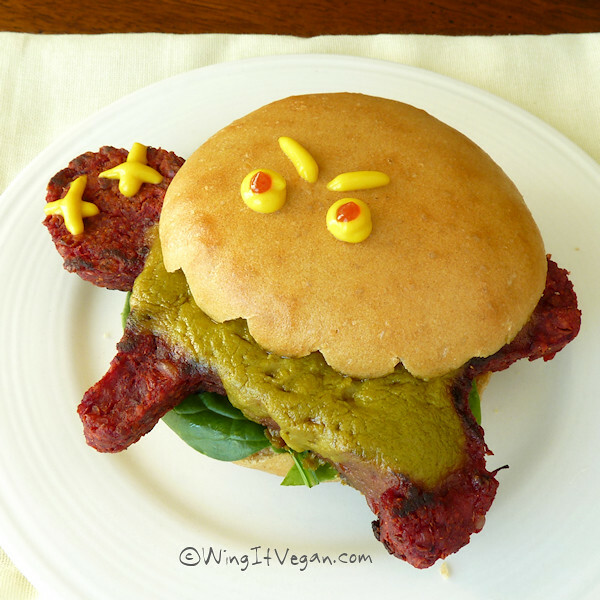 It was the year of Halloweegan and I went absolutely bonkers making themed food. 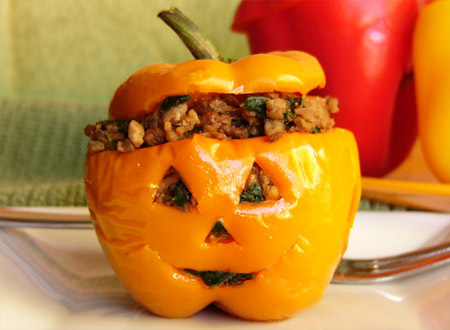 This was the year that the Halloweegan Stuffed Pepper was born. 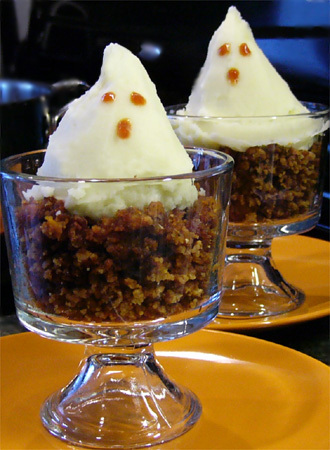 It was also the year of the Mashed Potato Ghosts! 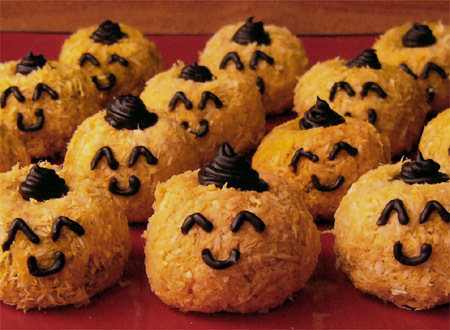 These little Happy Halloweegan Pumpkins were made with peanut butter and decorated with carrot-juice-tinted coconut. 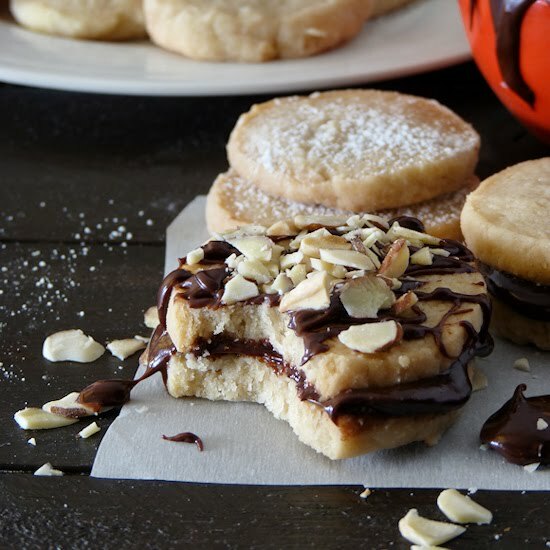 I tried to settle on some official theme for Vegan MoFo 2010, but I ended up doing recipes from other bloggers instead. That was the year that I wanted to do an '80s theme. I had lots of ideas but none of them materialized. It happens. 2010 was the year when I met Ricki Heller's Beetaroni! It was love at first bite! 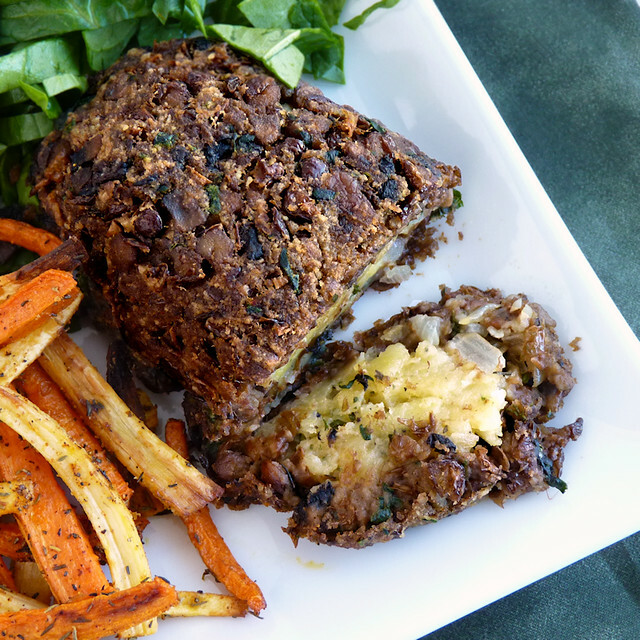 It was also the year I first made Jeni's Lentil-Mushroom Loaf with Savory Potato Filling. It's one of my most viewed blog posts of all time! I did the same theme/non-theme for Vegan MoFo 2012. There were a few Halloweegan posts but nothing like the insanity of 2008. The Man-Eating Burgers made an encore appearance! 2012 was the year of Ms. Maggie Muggins' Fluffy Newfoundland Bread. 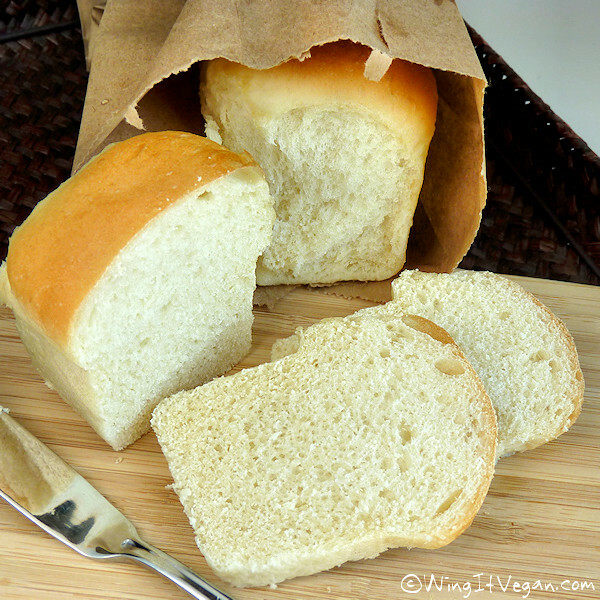 I have made this bread so many times I've lost count. I have blogged about this beautiful thing lots of times since then. 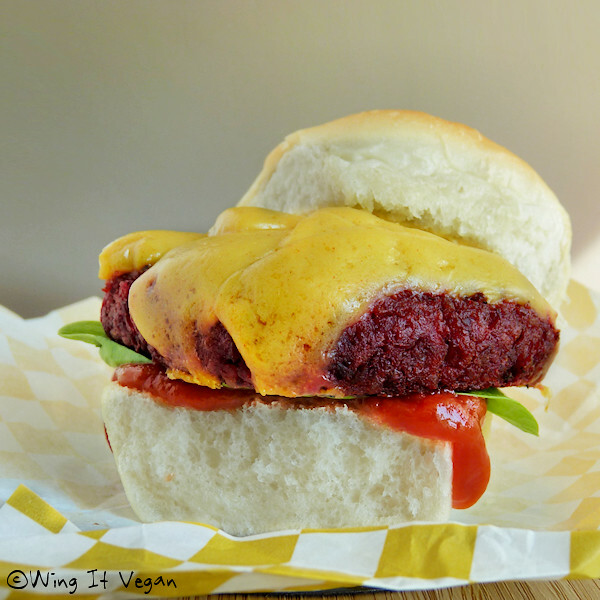 It was also the year of the PPK Beet Burgers. I have also made these a million and seven times since then. 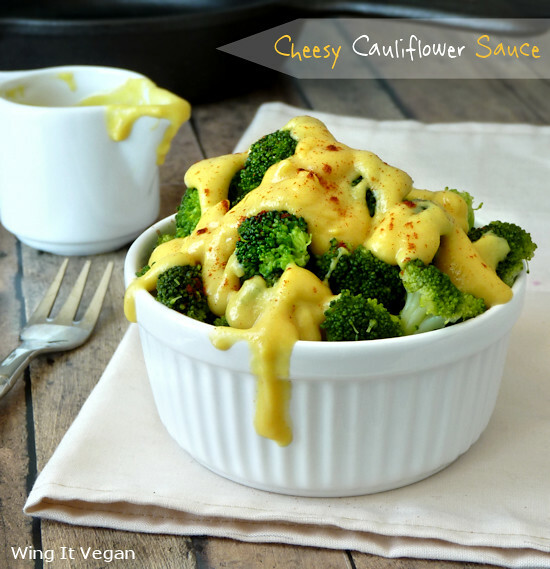 This Cheesy Cauliflower Sauce from Vegan MoFo 2013 was da bomb! 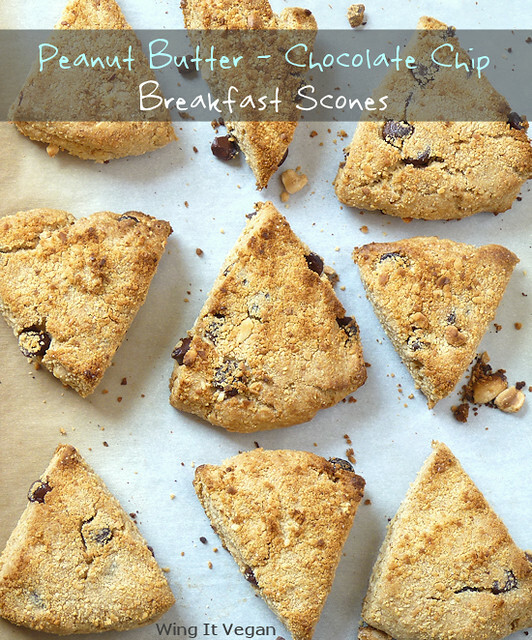 It was also the year when I had these Peanut Butter Not-Scones for breakfast every.single.day. Yeah, MoFo! Are you going to play this year? If yes, are you excited? Have you figured out what you’re going to make each day? Are you going to prepare for MoFo during August or are you just going to wing it when the time comes? Would you like me to stop asking you questions? Yay, I am so glad you are MoFoing! I will also be doing it this year, if I ever finish blogging my US trip. I seem to have returned to form with sporadic blogging only since my return. ;) But I had better get a move on! I intend to plan ahead for the MoFo challenges, but we'll see. ;) I am quite happy about the challenges! Blogging every day is hard work! But I think we can pull it off again. Right? Right! Yeah! Mofo means you'll be posting a lot :) I'm excited for my second round of Mofo. I realize it's the only time I actually talk about food on my blog. I like the guidelines, I'll probably stick to them. I'm away from my kitchen til the end of August and being cooked for where I am working so getting back into cooking just in time for Mofo will be pretty rough! Your halloweegan posts are some of my favourite blog posts of all time!! Sticking to the prompts is going to be tricky, for sure. I'm going to be coloring outside the lines for most of them. I liked your theme last year! WE CAN DO IT! YES WE CAN! Yay! You'll be here for mofo! So excited! haha yeah we really have!